Welcome to issue # 128 of the openSUSE Weekly News. What happend in the last week. One of the important things is the release of openSUSE 11.3 RC1. You can download it at http://software.opensuse.org/developer. You are invited to test it. Through the testing you can help to make your favorite distribution better. The other interesting thing was the call for volunteers to join the German Weekly News team. After the call I got many emails from people who like to work in the team. I would use this opportunity to thank all that responded to call for their willingness to help. We wish you to enjoy reading ! "Hi please fasten your seat belts, the touch down area is in sight we do have clear view and smooth weather conditions. So we expect a smooth landing for the release of openSUSE 11.3 on July 15, 2010. Let’s polish and fine tune openSUSE 11.3 now. Get the RC1 from our software portal right now! As usually the most annoying bugs are listed here. But at least till release time coolo couldn’t find more then one bug in this category. Good sign towards a great release in July." Plan your openSUSE 11.3 release party now! "As openSUSE 11.3 is around the corner and will be released on July 15, it’s now the right time to prepare your Launch Paty in our city or region. Gnokii just posted on the openSUSE marketing mailing list the following which should help orgainizing such an event and will help to avoid mistakes made already by others. Launch Party means an event around the fresh released openSUSE version. What kind of event is up to the organizator. Its usually an event to spread the word around openSUSE, share knowledge with others and get people on the openSUSE train." "As announced previously, the openSUSE Board and its Strategy Team have worked on three strategic proposals to define the direction of openSUSE’s future, as a Project, Community and distribution. Each strategy proposal includes the same community statement. We will therefore discuss the community statement and the three strategies separately." * openSUSE 11.3 RC2 Release"
"During last week , I was working on my Hackweek V project: bash completion for osc. It’s still far from being complete, but IMHO it is usable already, so here we go. (...)"
The Build Service now hosts 13309 (+140) projects, 99133 (+4283) packages, 23720 (+439) repositories by 23540 (+100) confirmed users. "After a bit of delay getting the meeting minutes and logs transferred onto the web, we now have it published and ready for your review. (...)"
"For openSUSE Edu: Linux for Education based on openSUSE 11.3 we will be going with great new default openSUSE 11.3 theme by Jakub “Jimmac” Steiner with small addition of our own, here is how it looks." "This week I tried to find the reason for yakuake taking >3 seconds before it slides down the first time. I thought that changing the default black text on white ground profile to one with white text on black ground slowed yakuake’s sliding down quite a bit. But that might have been an illusion since changing it back did not improve anything. However I guess that the graphics driver plays a part in this issue since the delay seems shorter on Intel graphics than on Nvidia (binary driver)." "Another week, another snapshot :-) As of this morning the KDE4:Unstable repository for openSUSE contains a newer snapshot (4.4.86). As that openSUSE:Factory now contains Qt4 4.6.3, all targets for KDE4:Unstable are build with the same Qt4 version, which brings a lot of stability and bugfixes. A few people already indicated that they find the latest version becoming more responsive and that things seems much faster than previous versions. (...)"
"One cute feature of C# 1.0 was the introduction of the Conditional attribute. When you apply the conditional attribute to a method, calls to this method are only included in the resulting code if the appropriate define is set. "Perhaps my favorite feature in MonoDevelop 2.4 is the "Navigate To" functionality that we added. This new feature is hooked to Control-comma on Linux and Windows and to Command-. on Mac. This feature lets you quickly jump to a file, a class or a method: (...)"
"We have finally released MonoDevelop 2.4. You can read a high-level description of the changes or see screenshots with the details. I would go for the screenshots myself. We made packages for OpenSUSE, SLES, Windows and MacOS X. 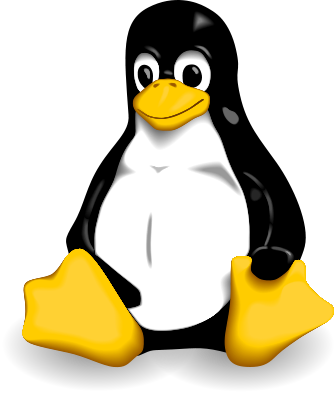 For other Linux distributions, you should consult with your favorite package provider or you can build it yourself from sources. (...)"
"In the current bootsplash scenario, after we select the kernel version (or by default starts to boot with the only available kernel), it gives a brief 3-4 second verbose message on the screen.. something on the lines of "Uncompressing Kernel...<and the kernel options parameters>". It then proceeds to the bootsplash screen of openSUSE that we're all familiar with. This is elegantly supressed under Ubuntu through a patch called quiet.diff." "I would like to see at least a basic firewall (or packet filter if you prefer) for IPv6 as part of the installation since IPv6 is by default enabled. As soon as your router has IPv6 enabled you are vulnerable without." "This can be very useful when plugging a hdd opensuse was installed on to another machine, eg, via USB. The notifier will display the disk labels without having to guess what is on each partition. Should be fairly simple to implement, and I only expect to be done when separate home partition is selected during install. More partitions than that, and I see it up to the user to define the labels." "GDM sometimes shows menues at the bottom, sometimes not. A user needs these menus to e.g. switch between KDE and GNOME. The logic, when these menues appear is well documented in GNOME user guide. Having the relevant chapter handy, helps logging in and generally improves usability of the system." "We, at the hungarian eduroam community, realized, that the lack of this capability in NetworkManager is a VERY SERIOUS threat. (...)"
"Quick rationale: Spaces in filenames are EVIL!!!!!! Extended rationale: libzypp should not make assumptions about the filesystem where files and directories may be stored. Some filesystems may choke on the filenames that are currently auto-generated. Further, many tools and scripts which iterate over files and directories implicitly presume that file/directory names don't contain weird characters." "Because Zypper is a little slow, and that's preventing a lot of packages from being installed in time. We should be able to have zypper as speedy as possible." "Well, we (contributors) are stretched all over the place, and there is still a lot to do, but keeping wiki hidden on side will not bring more contributors either. New date according to Rupert's post on the opensuse-wiki@opensuse.org mail list is July 12th. Wiki editing is not a big fun in the beginning, there is more then a few things to learn about to be able to play with, but on the other hand if you don't need fancy formating, then you can start almost instantly. Learn how to start article, then few formatting tips, like mark titles, and you are good to go. (...)"
If we can make a bit of a game out of this I would appreciate it. So first up I'll give you a deadline of 1200UTC 17June2010 to get you questions in by. What's the game? Simple, I would like you lot to pretend you are interviewing our prospective Community Manager. Does this sound a bit bitchy to you because I'm no longer in the running? If so I genuinely don't mean it to be. I just want you to actually search within yourselves, to work out what you feel is important to you when it comes to the role. (...)"
"I prepared some banners for the upcoming openSUSE Conference 2010. So now you can show that you will be there or like to attend or that you like the openSUSE Conference or whatever. The banners can be found in the openSUSE-wiki. When you need for your blog or pages a special size you can ask me for that, when I have time I do it. Next step posters….."
"Thursday morning at 5am I woke up, had a quick breakfirst and travelled via Nürnberg to Berlin for LinuxTag 2010. I arrived around 12:00 at the fair and was surprised to see it the back occupied by around 7 persons. We had a small booth, so it was full. They were taking part in the workshop “Build your own multi-distro package” held by Michal. The openSUSE boosters had organized these workshops as practical hands-on experience sessions. Our booth had at the front two large touchscreens were we demoed the current state of openSUSE 11.3. As usual one run GNOME, the other KDE – and we shared our remaining DVD media and openSUSE stickers. Always a few people were standing around the touchscreens helping people and talking about openSUSE." "LinuxTag 2010 has ended, openSUSE had a booth in the community area and we had a number talks. We also released OBS 2.0 on LinuxTag. You know this of course already, but here are some impressions. openSUSE booth was very well visited. Various workshops and activities created several times actually a big swarm around it. Many people were interessted about OBS in special and I hope we won some more OBS users and developers. Hennes and mine talk about “how to escape the free software hell” was provocant enough to get quite some people into our room directly after the keynote. I hope we were able to show off the coolness of OBS there." "Just traveling back by train from LinuxTag, Berlin to Nürnberg. How was LinuxTag? In general it seems to me that LinuxTag may should change their motto “Were .com meets .org” as the event changed over the years more and more to an community project events with a few companies attending and a few business visitors passing by. I wonder who’s willing to pay the bill for LinuxTag ongoing? But that’s not of my business. Apart of the trade show the LinuxTag team served a pretty broad and high quality 4 days conference. For the community guys and girls I’d say it was a pretty good event with much conversation and meeting of people you normally just meet on mailingslists, forums or IRC and with a bunch of people new or interested in Linux and open source." "Last week was the 16th edition of LinuxTag, one of the greatest FLOSS events worldwide. I was there but not as part of openSUSE project. There are some events I cant do that because I am part of RadioTux. LinuxTag is such a event and that means a lot of stress for me. My job on RadioTux is Chief of Program, that means I make the schedule for the broadcasting and take care of a trouble-free broadcasting. We had a lot of interviews at LinuxTag round 16 a day and we had two stages too. One of them was in opposite of our booth and the other one was the Open Source Arena which we had daily for a hour." "I had been toying with the idea that, to split a file on my hard-disk, I have to read and write to a new file and then truncate the old file. But isn't it lots of unnecessary I/O. I already have all the data on disk. I should be able to change the meta-data alone and mark the file contents after some length as a different file. So during this hackweek, I implemented 2 system calls on Linux, sys_split and sys_join. And added support for these calls to the FAT file-system. http://lkml.org/lkml/2010/6/9/200 With this patch one can split a file into 2 or join 2 files without doing much I/O! (...)"
"The SMB traffic analyzer software suite (in short SMBTA) is a toolset aimed at visualizing the data flow on one or more Samba servers, providing statistics about the usage of Samba services. The long term goal of the SMB Traffic Analyzer project is to provide a universal remote debugging facility for Samba. Well, there was Hackweek last week at SUSE again. And like a tradition, the SMBTA team is taking part in that very cool event. Our primary target currently is to release a first version of smbtad and smbtatools, so that we are able to have working tools released until Samba 3.6.0 Preview 1." "It’s that time of the year when SUSE/Novell developers use their Innovation Time-off to do a project of their interest/wish – called as Hackweek. Last week was Hackweek V. I worked on making the Common Internet File System (CIFS) cache aware, i.e. local caching for CIFS Network File System." "Last week was HackWeek V, during which I had small goals, yet had most of the time eaten by unexpected "roadblocks." The week started with my mis-remembering OptionSet behavior. I had thought that there was a bug with passing options containing DOS paths, as I thought the path would be overly split: (...)"
"It was hackweek here again in Novell, I spent an enjoyable ( but also sometimes frustrating ) couple of days trying to extend support for Mono in Openoffice.org. Recently on IRC there was some interest in using C# to write extensions for Openoffice.org where it became clear that only being able to ‘drive’ Openoffice.org from C# is severely limiting. To provide decent custom functionality you need to be able to get called by Openoffice.org, integrate with the Menus and Toolbars etc. Clearly to write an extension you need to be able to be ‘plugged’ in.. There are many many C# developers ( and potential extension developers ) and we are just ignoring them. I have to admit I always wanted to play with C#/DotNet/Mono and I even proposed a GSOC task to try and faciliate this ;-) Unfortunately the project didn’t make the cut but fortunately there is Hackweek yay! So, I spent the last couple of days playing around with Mono and C#, first I wrote a new loader for Mono, this allowed me to use recomp to register some services, next I modified unopkg to accept a Mono component bundled in an extension. (...)"
"Last week was a Hack Week at Novell, so I spent some time working on a new idea I've been cooking in the past weeks: a Community Add-in Repository for MonoDevelop, which I'm calling Cydin. The idea is to have a web site where add-in developers can publish their MonoDevelop add-ins and make them available to all users. The site works like a build bot: it pulls the source code of add-ins from version control repositories, builds and packages them, and then publishes them in an add-in repository, to which MonoDevelop will be subscribed." "During last week’s SUSE HackWeek, I worked on solving two problems we recently had in the Ruby on Rails part of SUSE Studio. The first is to easily define unique identifiers, and the second makes it simple to add new configuration to a database. Some time ago I was asked if we could add UUIDs (Universally Unique Identifier) to one or two (or three...?) of our models. I first looked at the available gems and plugins for doing that, but they all relied on the fact that the according model has a dedicated column for the UUID. (...)"
"So there has been Hackweek at SUSE/Novell the last week and I'm finally finding the time to release a new version of killswitch-applet. This time, it's version 0.2.3, and really a lot has changed from the previous 0.1 release: (...)"
lists.opensuse.org has 37272 (+1) non-unique subscribers to all mailing lists. The openSUSE Forums have 46778 (+209) registered users - Most users ever online was 30559, 08-Jan-2010 at 13:06. 4706 (+14) of 12111 (+26) registered contributors in the User Directory have signed the Guiding Principles. The board has acknowledged 425 members. "I’m pleased to announce our new libdbus++ 0.6.3 in the KDE:KDE4:Community Repository. What is libdbus++? The Project tells us: libdbus++ provides C++ foundation classes intended to wrap and hide the low-level C API of D-Bus library. It also makes heavy use of the Standard library and Boost library to avoid using prioritary libraries.Check it out, and test it…"
"I’m happy to announce updated OpenOffice.org 3.2.1 packages for openSUSE. They are available in the Build Service OpenOffice:org:STABLE project and provide some useful fixes. The most critical one is the crash in non-Oxygen KDE4 themes that affects openSUSE-11.3 and Factory KDE4 users. Please, check also the older announce for more details about OpenOffice.org 3.2.1 release." "Hello, and welcome! Looks like just after I finished my article, 2.6.35-rc3 was announced, so I will have to make the announcement in this week's edition. Let's begin. (...)"
"Sometimes life is very circular. Once upon a time, I was a film major. Then I was an astronomer, then I was unemployed for quite awhile, during which time I discovered free software, and as a result of my various rantings about it, I started writing for Free Software Magazine. Now it seems that I’ve become a film-maker again. I’m working on not one, but two animated science-fiction films using free software tools, intended for a free-licensed release on the internet under new distribution models. And, being a writer, I’m going to write about it. I think it will be both entertaining and useful. (...)"
"Google Chrome is the new cool faster browser that has been around and making news for a while but only on Windows until recently they finally released the Linux version of the browser. With google chrome browser slowly gaining traction and acceptance among general internet users, the browser has also evolved from being a simple raw fast browser with features like themes and extensions that made Firefox so very popular and more web app integration. (...)"
"The Bash shell provides some variables that are prefixed with ‘~’ (named tilde) which is called Tilde Expansions. They are synonyms for contents of other variables within your shell. Tilde expansion is the process of converting these abbreviations to the directory names that they stand for. In this article, let us review the tilde expansion feature with the examples." "This post is the first in a series on shell script debugging, error handling, and security. Although I’ll be presenting some methodologies and techniques that apply to all shell languages (and most programming languages), this series will focus very heavily on BASH. Users of other shells like CSH will need to do some homework to see what information transfers and what does not. (...)"
"You've probably encountered make as a compile tool, used for turning source code into executables (make; make install). However, make can do a lot more than just that. You can use it to automate pretty much any process which involves running a set of commands on source files. Read on to find out what make actually does, and how you can use it." "What’s that you say? You don’t need to do anything about security on your Linux box because it’s Linux? Think again. Linux is an operating system that begs to be online, so it wants to be secure. Sure it’s fairly secure out of the box, but NO operating system is 100% secure if it’s, well, turned on. Here are five crucial Linux security tips." "It is no secret that I am a pretty big fan of excellent Linux Software RAID. Creating, assembling and rebuilding small array is fine. But, things started to get nasty when you try to rebuild or resync large size array. You may get frustrated when you see it is going to take 22 hours to rebuild the array. You can always increase RAID resync performance using the following technique." "It's been a while since I mentioned anything about Goblin and anything netbook related, sorry. Anyhow as everyone is aware, Moblin has since been superseded by MeeGo. The timing was a bit of a PITA for me, as it coincided with the Factory freeze, which means I couldn't update the relevant packages etc in-time for 11.3. As it stands, 11.3 should have an almost fully functional Moblin environment – I say 'almost' as there were two packages that I just couldn't get to co-operate and build (the modified Moblin browser, and the Web panel). They should not affect your enjoyment of the UX so I'm not going to kick myself too hard. I have learnt several lessons though trying to get Moblin into Factory: (...)"
"LTAF is an integration test framework developed by the Microsoft ASP.NET QA Team. Integration tests are different than unit tests, they actually test what a user would be doing by opening up the browser and filling in textboxes or clicking links. LTAF is nice because you write your tests in C# and run them in the browser of your choice, the disadvantage to this is you can’t have it easily integrate with a continuous integration system like CruiseControl.NET since there is no runner." " Lizard lovers, get ready. The next openSUSE release is heading your way very soon. After eight months of development, the green team will launch 11.3 in mid-July. Let's take a look at the new and improved openSUSE. 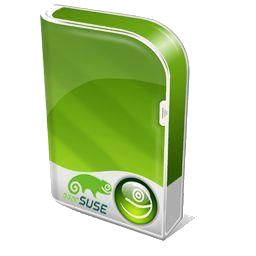 The last openSUSE release came out in November of 2009. It was the last openSUSE release before the project went onto a fixed eight-month release cycle. It's a bit slower than the Ubuntu and Fedora projects but gives a bit more time to work on the release. Lots of good stuff has been developed since 11.2." "It is a great week for all the people that are enjoying the wonders of Chromium. Especially now with the newer version of ffmpeg (0.6), which is available on packman, chromium is finally able to play the new webM format. No additional configuration is required. Just update/install the ffmpeg package from packman together with the chromium package from Contrib and you can watch webM video’s." "Hello everyone, and welcome to this week's edition of OpenSUSE PostgreSQL news! (...)"
"Well, epic for a Free software geek. Kim and other normal people just chuckled, and at best grinned when I told them. I’m now running openSUSE on my desktop, which has an AMD RadeonHD 4350 card. That card is fast enough for my graphics needs (compositing window management, a dated game once in a while) and still passively cooled and providing two DVI outputs for my dualhead setup. I’ve been using an NVidia VGA before, but switched to AMD/ATi when I last upgraded my desktop workstation (to an Intel Quad core, meaning new mobo, graphics as well). I picked a RadeonHD card instead of an NVidia chip because of AMD’s open dealing with specs, something which I deeply despise in NVidia. So, NVidia, there you go: You lost me as customer because you’re too closed a company." Installed openSUSE, now I want to delete Windows? "After finding openSUSE to their liking, this user proceeds with removing Windows and making use of the space it was occupying. Eventually formatting the partition to ext4." "A slightly puzzling thread this, or at least the circumstances to what actually happened are puzzling. The OP made it in the end. Although solved, we still feel unsure as to what exactly happened in the initial install." "Our user here is experiencing a familiar issue, where the busy update applet prevents the use of Yast>Software Management." "This ranks among the strangest of problems I have seen. And I still don't know what the problem was. But it smacks of the FAT32 file size limit, but in this instance the OP was using NTFS. The work around in this case was to download the live cd." "This is to announce the program schedule for the upcoming Linux Security Summit, to be held on Monday 9th August in Boston in conjunction with LinuxCon. Following a round of voting by the Program Committee, the following proposals were selected as main talks: (...)"
"I've got good news and bad news for those of the misguided perception that Linux is somehow impervious to attack or compromise. The bad news is that it turns out a vast collection of Linux systems may, in fact, be pwned. The good news, at least for IT administrators and organizations that rely on Linux as a server or desktop operating system, is that the Trojan is in a game download so it should have no bearing on Linux in a business setting. (...)"
"I am Siddharth Sharma (h4xordood) from India and I am working on my GSOC Project “Plasma Dashboard in Skrooge”. Guillaume de Bure (gdebure) is mentoring me on this project :) , Stephane(Core developer,designer & architect of skrooge) for explaining me archtecture of skrooge and Aron Seigo (aseigo) has been co mentoring me and throwing ideas about intergration of kpart and skrooge plus Plasma related questions.I feel really great working with all these people as i am new contributer to KDE and Ryan Rix (rrix) as he is the first friend at KDE Plasma who helped me alot in understanding things here. Rix and I have been working on our GSOC projects.I am hacking skrooge and some part of code in kpart while rrix has been working on kpart applet selector and many more things there plus his project Plasma “Kontact Summary”.So far i am able to get my plasmoids on dashboard with the help of my mentors. Right now we have our own plasma dashboad that isnt using kpart plasma dashboard." * the facet-term underlying structure is changed, with its classes trying to follow the Model-View-Controller architectural pattern; in this way, it should be easier to add new facets or new views, with less code involved. Please notice that this may not be the final structure: some discussions are happening right now about this, so things may change soon." $ google picasa create --title "My album" ~/Photos/vacation/*.jpg"
"I've just uploaded the slides of my talk about RAnsrID on LinuxTag on my publications page. As the documentation of RAnsrID is basically non-existent ATM, this is rather important for potential users..."
"Are you a World Cup fan annoyed by the constant sound of the South African vuvuzela horn? Wish you could remove that sound from your World Cup viewing experience? Do you want to learn a little bit about powerful modular effects routing can be on Linux? Either? Both? Call it “football”? “Soccer”? Any way round, we’ve got you covered." This page was last modified on 29 July 2010, at 14:43.